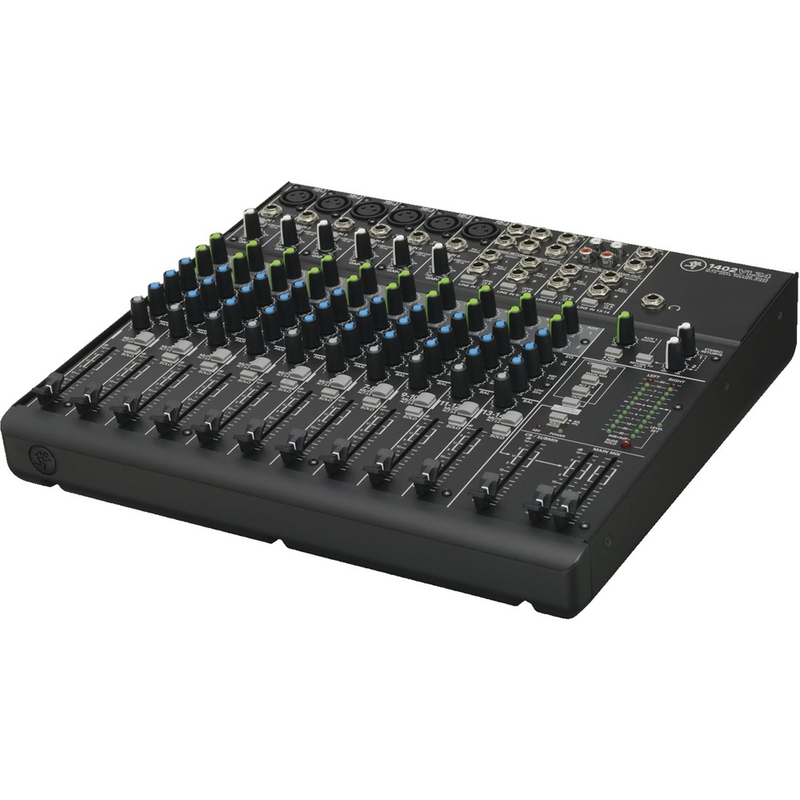 The Mackie 1402-VLZ4 is a 14-channel compact mixer, designed for both live and studio applications. The 1402-VLZ4 boasts 6 integrated Onyx microphone preamps, as well as built-in Phantom Power for use with studio condenser microphones. 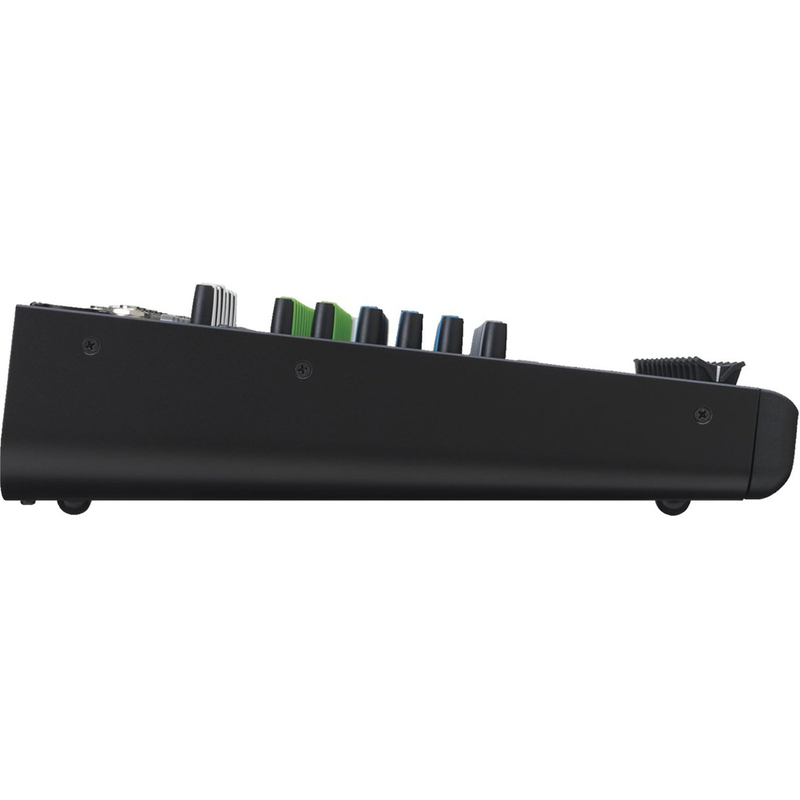 Also included is 14 high-headroom line inputs with +4/-10 operation control for various equipment; from keyboards and synths to controllers and more. Each channel of the mixer features a 3-band EQ for shaping your sound, ideal for everything from cutting out the low-end of a vocal recording, to treating inputs for recording. The custom M80 op-amps and class-leading negative summing bus architecture ensuring the highest headroom and lowest possible noise for optimised signal integrity. 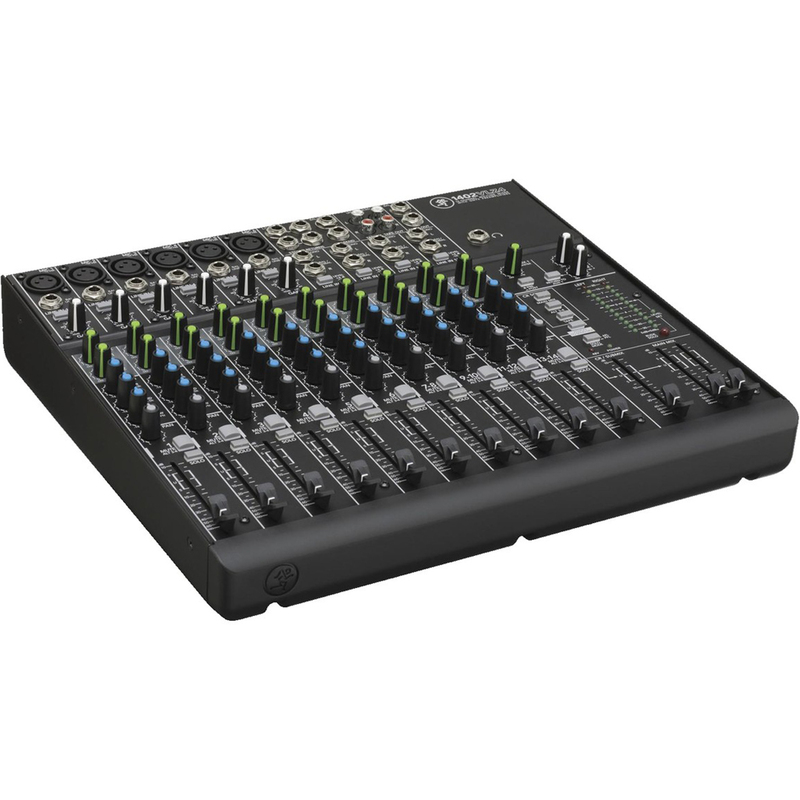 There are 6 onboard, studio-grade Onyx mic preamps, providing exceptional audio fidelity. The preamps offer an ultra-wide 60 dB gain range and 128.5 dB dynamic range. 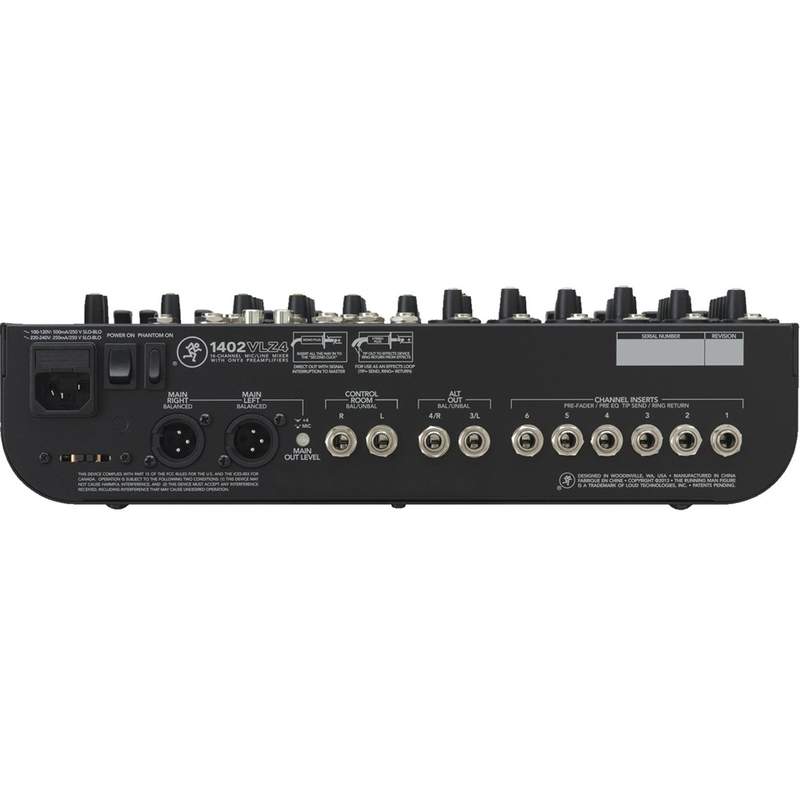 With an extended frequency response, the preamps also offer incredibly low distortion levels. The microphone preamps are designed to bring out the best performance from both dynamic and studio condenser microphones. The wide frequency range an integrated low-cut filter on mic input channels, make them one of the most versatile preamps on the market. The result is studio-grade audio fidelity, capturing every nuance of your source audio. 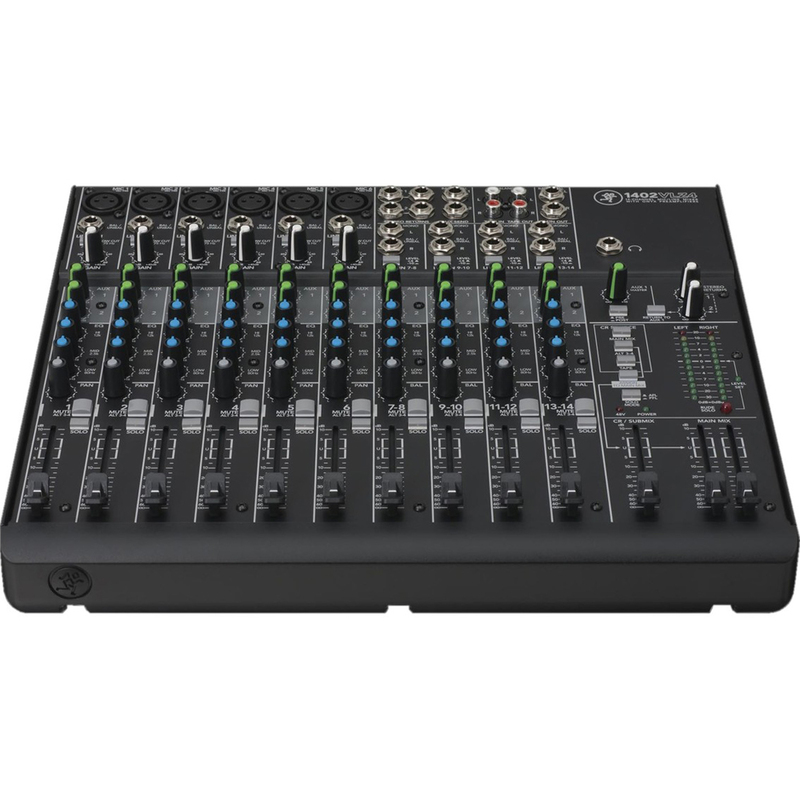 The ergonomic yet comprehensive control section, features a 3-band EQ on every channel, accompanied by 60-mm long-wearing, log-taper faders for maximum fluidity when dialling in levels. The high-contrast controls allows you to make quick changes to your sound, with sealed rotary controls designed to resist dust and grime for optimal durability. The high-resolution 12-segment stereo meters provide visual feedback for your overall levels, allowing you to see at a glance if changes need to be made. Each channel features a low-cut (75Hz) filter, which can be activated by a dedicated button. 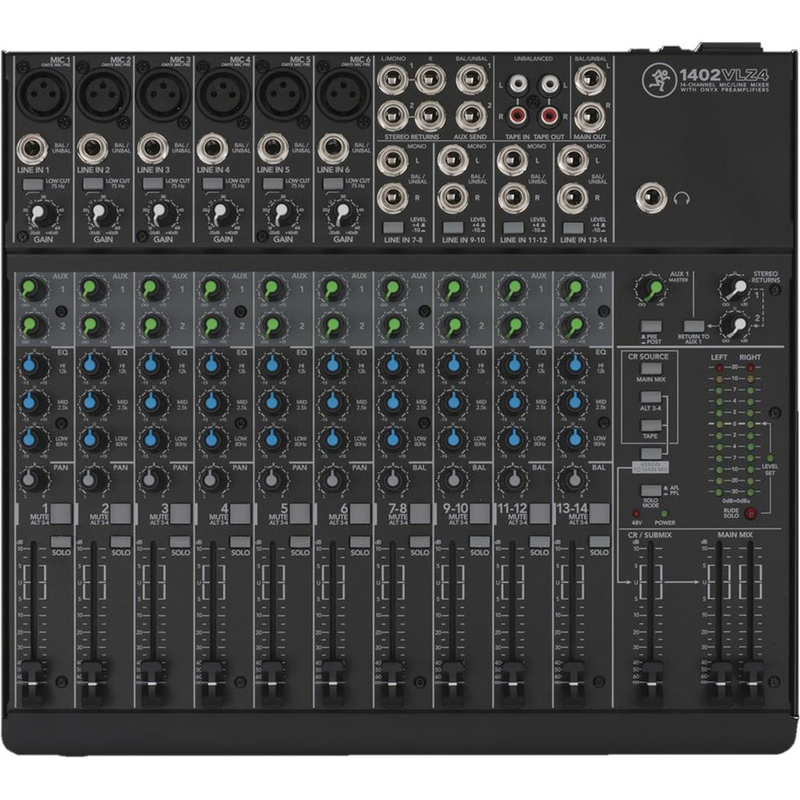 Each channel also features a microphone and line input. In addition to the 3-band EQ, each channel also features a gain control, dual Aux controls and a panning control.